Though Wayanad is being seen as a safe seat for Rahul, the party has set itself a challenge to post a record winning margin. 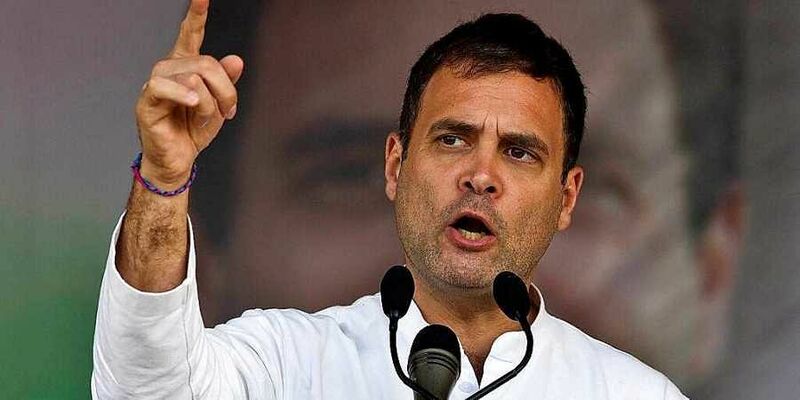 NEW DELHI: It’s all about the winning margin for the Congress in Kerala’s Wayanad seat where party chief Rahul Gandhi is in fray, apart from Amethi in Uttar Pradesh. The Congress high command has given a target of over 2 lakh winning margin to party workers in the constituency hoping that it will set a new state record. Though Wayanad is being seen as a safe seat for Rahul, the party has set itself a challenge to post a record winning margin. Rahul is likely to visit Kerala again for campaigning on April 17 and 18. The top party leadership, including K C Venugopal, AICC general secretary and Rahul’s close aide, state in-charge Mukul Wasnik and senior party leaders Oommen Chandy and AK Antony, have held a series of meetings in the constituency and issued directions to party workers to focus on reaching out to the maximum number of voters. “Review meetings were held in all seven assembly constituencies of Wayanad Lok Sabha Constituency. UDF (United Democratic Front) will win with a record margin,” Venugopal tweeted after a review meeting on April 10. The seat was carved out in 2009 post delimitation and Congress’ MI Shanavas won the seat in the last two general elections. He passed away in November 2018, leaving the seat vacant. “The first round of door-to-door campaign has ended and we are in process of conducting the second. There has been an overwhelming response from the people. Rahul Gandhi’s decision to contest the seat has enthused our workers. The focus now is to ensure a record winning margin for our party chief,” KV Thangakabalu, the Congress’ election in-charge in Wayanad, said.